Within the boundaries of this map area, Northwest Phoenix is bounded by Bell Road to the north, Sun City to the west, Northern Avenue to the south and I-17 to the east. This area of Northwest Phoenix also encompasses part of Peoria. Peoria is the ninth largest city within Arizona in terms of population, sits within 142 square miles, and incorporated in 1954. Some of the major neighborhoods within this area of Northwest Phoenix are Arrowhead Cove, Diamond Cove at Desert Harbor, Plaza De Rio, Granite Run, Ashland, Springer Ranch, Peoria Heights, Foxdale, Thunderbird Estates, Rossmore Village, Park Place North, and Lake Biltmore Estates. Diamond Cove at Desert Harbor, for example, features single-family homes built in 1998-1999, with many of the homes waterfront on one of the lakes in this beautiful subdivision. The neighborhood of Rossmore Village, in the city of Glendale, near Olive and 51st Avenue, features single family homes, townhomes and condominiums, most of which were built in the early 1970s. Many have been remodeled. 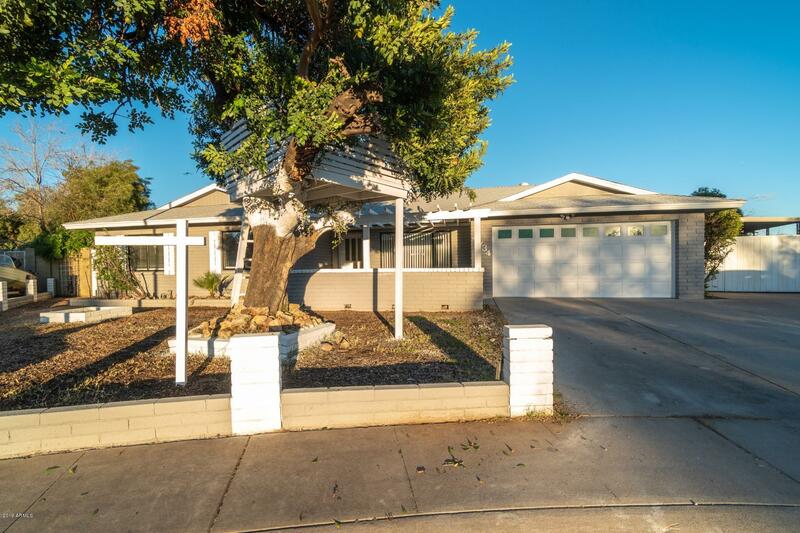 Springer Ranch is a neighborhood to the west of the 101 Freeway, north of Olive Avenue, and is comprised of single family homes built in the late 1990s, and ranging from 1,100 to over 1,700 sq ft in size. Condominium complexes within this area include Phoenician Palms Condominium, Avalon Hills Condominiums, Via Sitta Condominium, Meadows Condominium and Peoria Estates Condominium. Things To Do: Outdoor activities in and near this area include the Peoria Regional Preserve, and dozens of community and neighborhood parks within this area of Northwest Phoenix. Some of the more popular parks include Sweetwater Park, Thunderbird Paseo Park and Cortez Park. Golf courses in this area include the Palmbrook Country Club, and near this area include the Arrowhead Country Club, Blackstone Country Club, Sun City Country Club, and the Willow Creek Golf Course among others. Entertainment options in and around this area of Northwest Phoenix include the Peoria Sports Complex (spring training home to the San Diego Padres and the Seattle Mariners), Wet n Wild Water Park, Castles n Coasters, Fort Adobe Paintball, Jumpstreet and SkyZone. The major shopping areas in this area include the Arrowhead Town Centre, Thunderbird Crossing, North Valley Power Center and Metrocenter Mall. There are dozens of smaller shopping centers throughout this area of Northwest Phoenix. Schools: The Peoria Unified School District and Washington Elementary School District provide most of the elementary and secondary education for residents here.